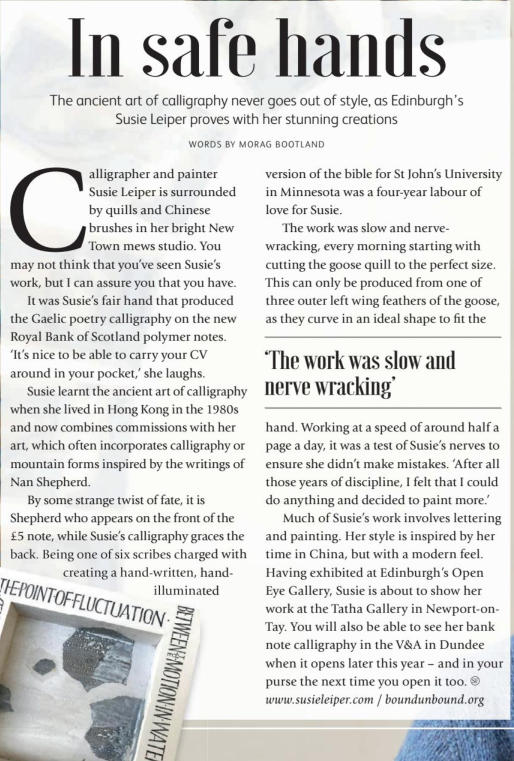 Susie Leiper is in the news again talking about her steady hand. 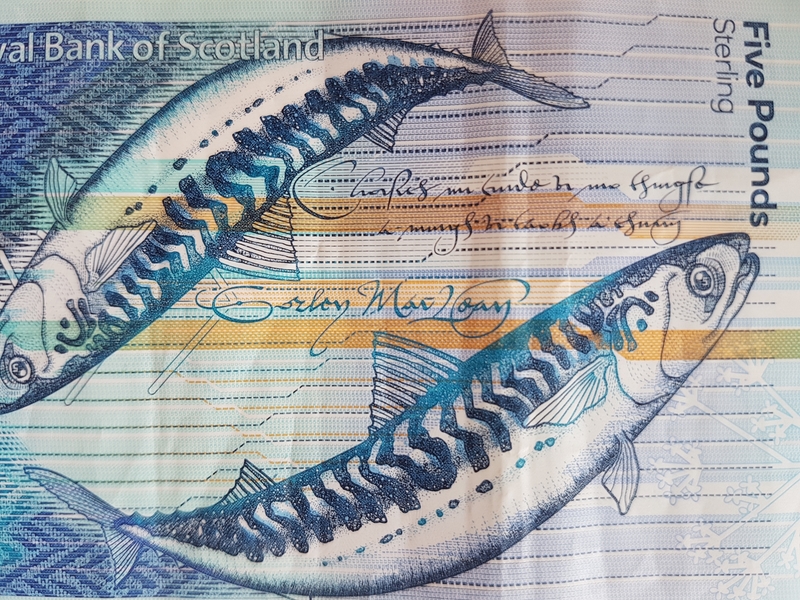 Did you know that the calligraphy on the new Scottish five pound note is by Susie? The note will be exhibited at Dundee V and A when it opens in September but up until June 16th the rest of Susie's work can been seen in our Encounter Exhibition alongside artsist Liz Douglas. Below is a photograph of the note with Susie's calligraphy in Gaelic. The beautiful English translation can be seen under ultra violet light and reads.